Alright having shared some of my favorite alternative diet and training theories in last week’s APRIL FOOL’S article, I want to do a quick video and talk about a couple of issues related to bodyweight. Since this is an issue I want to make a quick disclaimer. Do not take this video/article as justification to only use bodyweight as a measurement of anything. 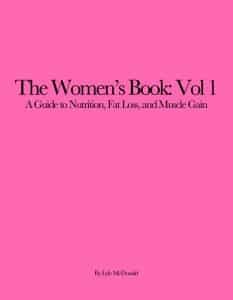 Every one of my books I talk about the issue of losing weight versus losing fat, what body composition is is discussed in detail on the main site. I’ve linked to articles related to that. At the same time, people are going to use the scale, it does have some use in terms of tracking things especially if you use it with another method either a tape measure or a one-spot caliper measurement to track things. So use weight/the scale but use it carefully. The first thing I want to talk about is Body Mass Index. The BMI is an old measurement, it’s a relationship of height to weight. In metric, it’s weight in kilograms divided by height in meters squared and you can use imperial measurements with a conversion factor. Everybody lost their minds said BMI sucked and needed to be thrown out and I want to go on record as saying I don’t think that’s the case. BMI is a measure or indicator of bodyfatness; the problem is that it’s not meant to be used with trained athletes. The reality that people who are in the fitness field or work out a lot tend to forget is that the average heavy person is not heavy because they are muscular. Someone who is 5’7″ and 180 pounds for example will have a BMI that indicated that they are obese. Now yes, an athlete at that weight and height may be lean and muscular; that athlete does not represent most weight at that body weight. The problem with BMI is not that it’s inaccurate; the problem here is that it can’t be used for trained athletes. For everybody else, it’s actually a pretty decent indicator with bodyfat and actually shows a pretty good correlation with true bodyfat measurements. In two of my books (Links of course in the article), I actually give a way to use Bodyfat (sorry, to use BMI) to estimate bodyfat percentage. But again, trained individuals can’t use it. Should You Weigh or Measure Frequently? Ok. Having discussed BMI, the next thing I want to talk about is weighing frequency. This was a topic that came up on the support forum and I thought was worth addressing. There’s kind of two different attitudes about the idea of how frequently (if at all) to get on the scale (or take any other measurement). And again I note that I don’t recommend using the scale by itself; it really should be used with some other method to track results/changes. On the one hand there’s actually pretty good research data (and this comes from mainly from the National Weight Control Registry, which is a registry of successful weight loss, uh weight losers and maintainers) that one common habit is regular weighing. There data, at least a few years ago, found that 44% of members in the registry weighed themselves daily and 31% weighed themselves weekly. I think the idea here is that by jumping on the scale every so often, you can sort of keep track of where you are and catch yourself before you start to backslide. That is, we all kind of know there’s that tendency to wear stretchy clothes and kind of ignore the scale and not take measurements because we want to pretend that the weight gain that we really know is happening isn’t happening. By getting on the scale every once in a while, you can sort of stop problems before they start (or get too bad) and know when you need to get a little more serious about your food intake or your activity. On the other hand there is this idea that getting on the scale too frequently can cause even more problems than it solves. And I don’t disagree but that has more to do with how people tend to use frequent weighings. And what happens is people start to get really psychotic and pathologically obsessed about the scale and start adjusting what they are doing day to day or even within a given day based on the short-term meaningless fluctuations. So from Monday to Tuesday their weight will go up a couple of pounds (because they had a bunch of salt at dinner) and they’ll freak out and go do an extra hour of cardio and cut their calories way back. And then from Tuesday to Wednesday the weight will go back down, and now it’s time to celebrate. Probably with a piece of cake. So what happens is that they are using these short-term fluctuations that don’t mean anything and let it drive them crazy and change their plan or change their daily eating and activity habits. And clearly that’s a bad thing. It is worth kind of noting in this regard, there’s a study that was looking at the issue of the Freshman 15 in female college students. And what they did was they figured that by analyzing scale measurements over a 7-day span, they could kind of eliminate these random fluctuations. And they gave the study subjects feedback on their 7-day (essentially it was a rolling average; they were really doing a regression equation with some heavy math that’s not worth getting into. But it was basically a 7-day rolling average. So what the researchers did is that every day the women would weigh and they would plug the new data into the 7-day rolling average. They’d drop day 1 out and then add the new day 7 and they just kept giving them feedback on that. And by giving them this feedback, the women who got the feedback basically avoided any weight gain over the 12-weeks of the study. Whereas the women who got no feedback gained anywhere from 2-3 kg (that’s 5-6 pounds for the non-metrically inclined). So again we get this issue where weighing and using that feedback usefully to sort of steer things on a week-to-week basis can be useful but if you’re using it on an hour-to-hour basis or a bowel-movement-to-bowel-movement basis to decide what you need to eat or what activity you need to be doing, that’s when it gets pathological. So weigh regularly/measure regularly, just don’t get crazy about it. Ok so recommendations. Clearly I do think that using the scale (especially if you’re using it with some other kind of measurement whether it’s a tape measure, for men usually throw it around the waist, women could be hips or thighs. It could be a single caliper measurement) is not a bad idea just to keep track of where you’re at. The question then becomes how often to do it, when to do it to get the best results, those are all questions that I seem to come across consistently. The best advice I can give is that whatever measurement method you decide to use, just be consistent about it. The worst thing you can really do is compare unlike to unlike. So if you try to compare Monday to Friday where Monday you went out over the weekend and drank and ate a bunch of crap and then weigh/measure again on Friday you’re not going to get consistently comparative measurements. I think it’s worth mentioning that for women even week-to-week measurements can really be thrown off by changes in water balance throughout the menstrual cycle. Women vary enormously in this regard; some women can shift 10 pounds (4.5 kg) of water at different weeks in their cycle, others see very little variance. That’s an individual thing. But if you’ve got a woman who is really sensitive to water weight gain during their cycle, comparing body weight in Week 1 of the menstrual cycle to Week 3 is just not going to give you useful measurements. They may have to even be comparing month-to-month. So they are comparing Week 1 of January to Week 1 of February and Week 2 of January to Week 2 of February to see any kind of reasonably accurate measurements. For the more mathematically or technologically involved, you can set up a spreadsheet with a rolling average in MS Office or something similar (NOT OUTLOOK EXPRESS) or maybe somebody who sees this can put together an Android or Iphone app and actually do a regression equation like in the study I talked about. Addendum: Of course this App exists. You basically just set it up so every time you put in a new data point it recalculates that average and you can look at long-term trends. So if the trend is going up, you’re gaining weight and if that’s not your goal you need to check something. Either tighten up on your eating habits or increase your activity or both. If your weight is going down and that’s not the goal, then you need to increase your food intake or decrease your activity. You get the idea. The key to these measurements is don’t let the short-term fluctuations drive you nuts. They aren’t telling you everything or anything for that matter. And make sure you compare them over reasonable time frames (i.e. week-to-week). But I do think they are useful to keep track of where you’re at. Again I want to reiterate that I don’t think the scale by itself is terribly useful since it doesn’t tell you what the composition of what you’re gaining or losing is. But people are going to use it and if you’re going to use it, at least use it correctly. That’s all I’ve got. If you want you can check out the article on my site for the various links to BMI calculators and a couple of the resources I’ve mentioned. And if you want more information come to my site www.bodyrecomposition.com.